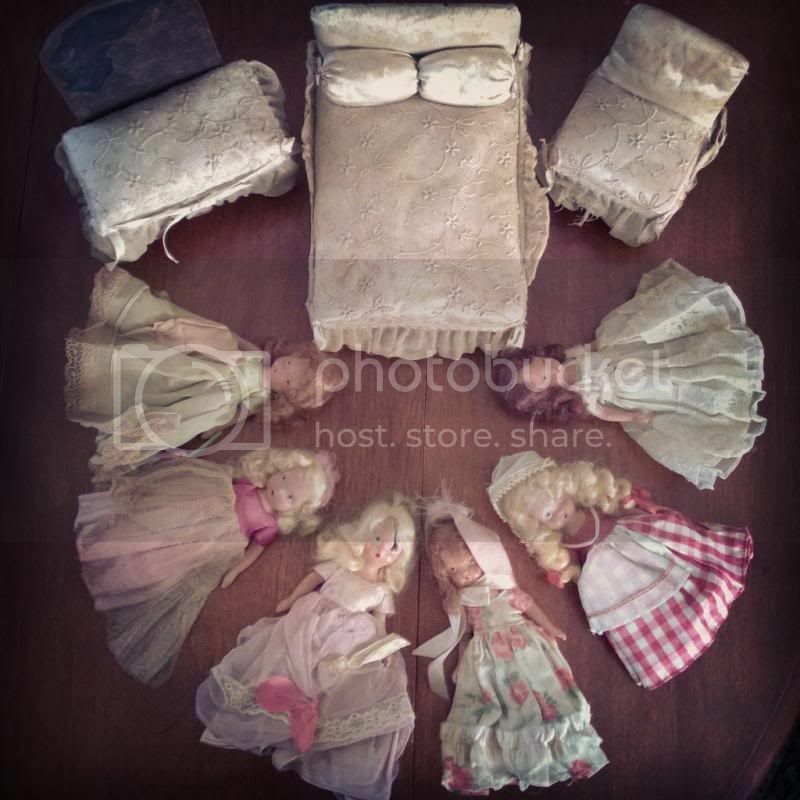 My grandma had a lovely cedar chest from her childhood, and it was filled with old clothes and a large set of beautiful porcelain storybook dolls. I was never allowed to touch them, but I loved to look (and smell - the cedar was intoxicating). Many years later, although much too soon, my grandma passed and those dolls were given to me. To this day I can't fully express what that means to me. My grandma and I were incredibly close and doing much of anything with those dolls felt too raw at the time, so they were packed away and left at my mom's house. My family moved a few years later and at some point I realized that I had no idea where those dolls were. I panicked and searched to no avail. I had a theory that they had been thrown out or left behind by a certain someone who was incapable of seeing the value in material things. I cried on and off about those dolls for years, and then one day they miraculously appeared! I repacked the dolls since my tiny apartment was no place for precious breakables and continued to store them at my family's house. History repeated itself and there was another move; another bout of misplaced dolls. I kept reasonably calm and told myself that they WOULD pop up at some point. Today my mom was going through a plastic tote filled with my grandma's old clothes from her 20s and 30s (she was SO tiny! ), and there were the dolls. Once again I laid them out and had a moment with them, then repacked them and vowed to keep track of them. I can't wait to have space to bring the cedar chest home and put the dolls back where they truly belong.